Toronto writers don't easily have access to classically inspirational haunts, such as the Café de la Rotonde in Paris, the Literary Café in St. Petersburg, or the Antico Caffè Greco in Rome. These famous European cafés were the hangouts for legendary writers like Hemingway, Dostoyevsky and Keats, and some have even inspired classic literary works. But in more recent times, Toronto has also served as a literary canvas, with some of Canada's most well-known novels set in our city - including those by Margaret Atwood, Robertson Davies, Timothy Findley, and Michael Ondaatje. Toronto is also home to many of Canada's finest authors, which make up a very diverse community of creative voices. 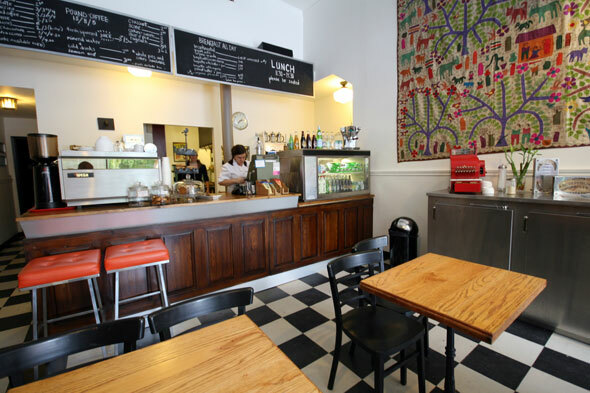 We asked seven of these writers to share their favourite spot in our city to go get inspired or work - these cafés, parks and restaurants may not have the international literary cachet that a place like La Rotonde has, but in their own way, they help spark creative magic. 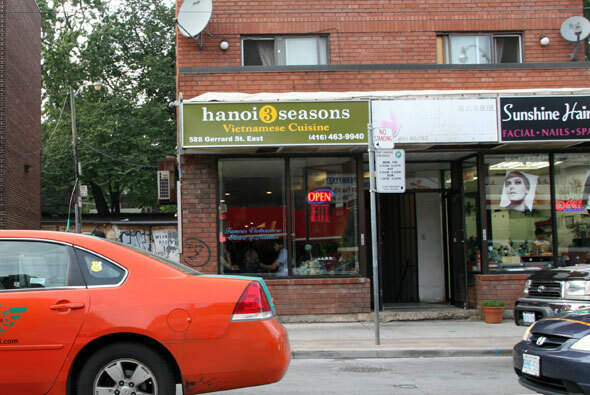 "I spent the last five years writing a novel set in Vietnam and Hanoi 3 Seasons has some of the best Vietnamese food in Toronto. We moved into the neighborhood about four years ago. For us, it is very important to find a good pho place near our home. Pho is one of my comfort foods. Hanoi 3 Seasons doesn't really inspire my work in a specific way, but the taste of good Vietnamese food helped me to situate myself when I was writing about Vietnam. It opened the door to memories and impressions. It gave me comfort that the world I was imagining could be made to feel real." "I walk or bike between my kids' school in Little Italy and our house by Trinity Bellwoods Park - and back - several times a week. This well-beaten path somehow sets off a short, productive burst of thought. Looking at the parade of people - brows furrowed, rushing or meandering - and imagining their stories can spark all kinds of weird, potentially useful thoughts. Also, the giant trees are soothing. 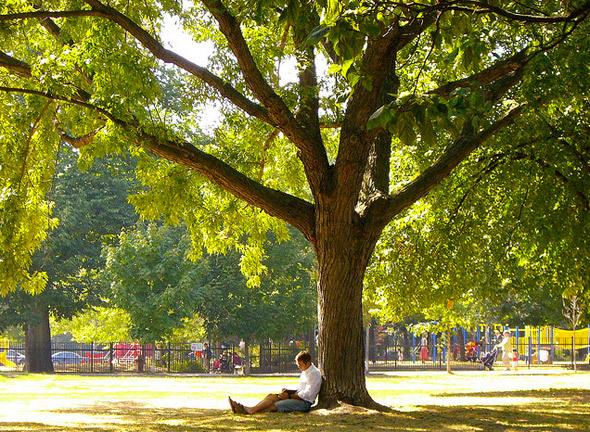 The final scene of my novel Everybody Has Everything is set under a specific tree in Trinity Bellwoods Park. I won't say which one, but it's the perfect tree for an epiphany." Toronto Book Award winner Michael Redhill - whose new novel, A Door in the River was written under the pseudonym Inger Ash Wolfe and came out last month - frequents the Danforth cafés. "I've always been a café-goer. I have a busy head and sometimes I just like to feed it white noise in the form of other people talking, and bodies moving back and forth. I've been living on the Danforth for about 12 years now, and my locals are The One, out by Donlands, and Crema, in the heart of the Danforth. I've just completed a novel called I Saved Houdini (out May 2013) which takes place, in part, on the Danforth in 1926, so I used quite a bit of the architectural history of the street in that book, especially The Music Hall, which in 1926 was a movie theatre and vaudeville hall called The Century." 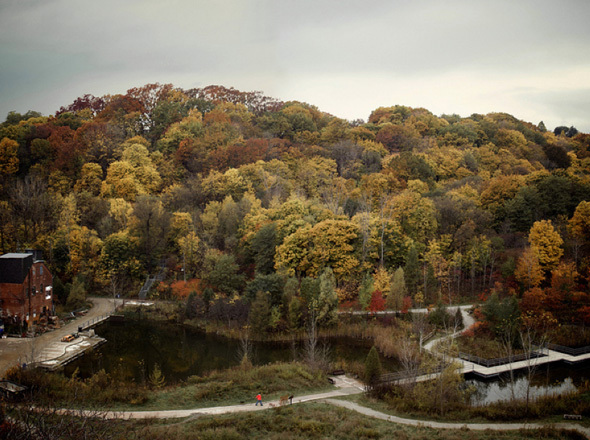 "Most mornings, I go for a walk in the Don Valley near our home. My favourite parts are the Evergreen Brickworks Park and Crother's Woods. Walking in nature allows my brain to go free range and that's how I get ideas and work out problems. The idea, the text and many of the images for Picture a Tree were the result of years of morning walks. Our family has always enjoyed walking the ravines, but it became a daily event when our wire fox terrier, Ruby, joined us 15 years ago. Picture a Tree is dedicated to Ruby, and you can spot her in some of the pictures." 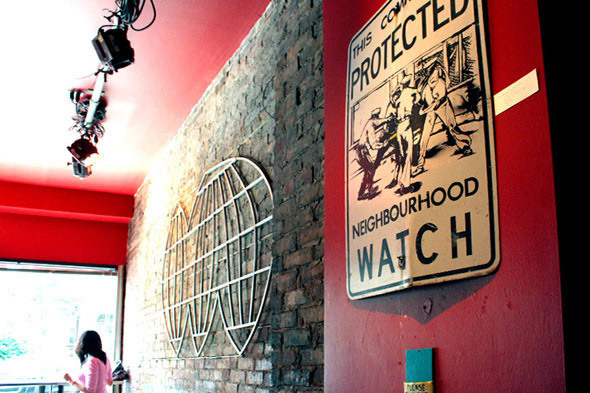 "Toronto has all sorts of different and wonderful cafés. (One of them) is Jet Fuel Café on Parliament. They are open early, the music is very loud, and the place is so stripped down and unpretentious; it's very un-Toronto. Okay, I'll do a bit of name dropping. Lucky me, I've got to know Ian Rankin, the Scottish author who I've met at a few writers' festivals. Last time he was in Toronto, I took him to Jet Fuel. He loved it. When I was working on my second novel, The Guilty Plea, I was writing at Jet Fuel and really having a hard time coming up with the ending. Lightning struck, or maybe it was the latte. I figured out a key part of the plot that now takes place at The Jet Fuel Café." Overheard conversations between strangers in an Annex café helped Zoe Whittall flesh out characters in the novel she is currently working on, provisionally entitled The Worst Kind of People. 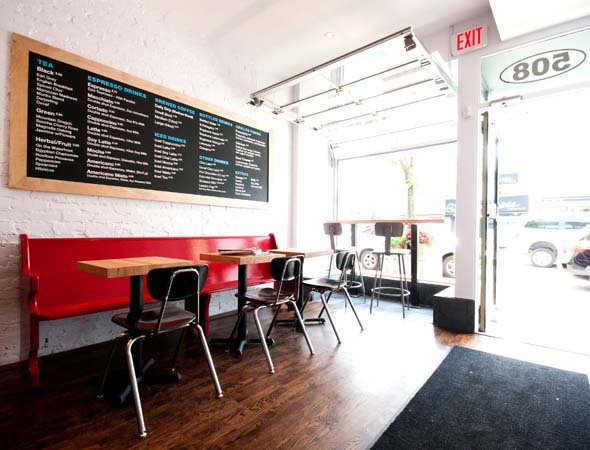 "I have a few cafés in the Annex area that I sometimes go to, including Ezra's Pound on Dupont. 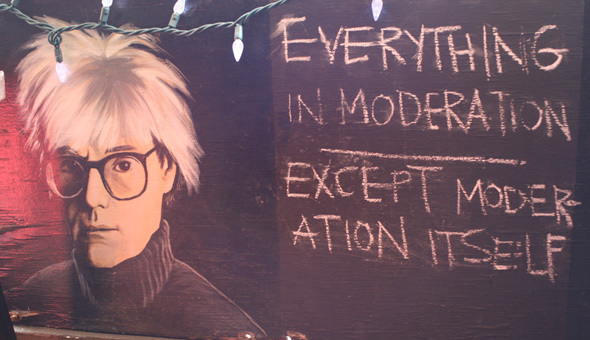 Ezra's has very interesting clientele, largely wealthy folks from the area and the eavesdropping is sometimes really funny in that "how do these people exist in real life" kind of way? I have two characters in my latest novel who have that kind of wealth and so being there has helped with some details and dialogue. 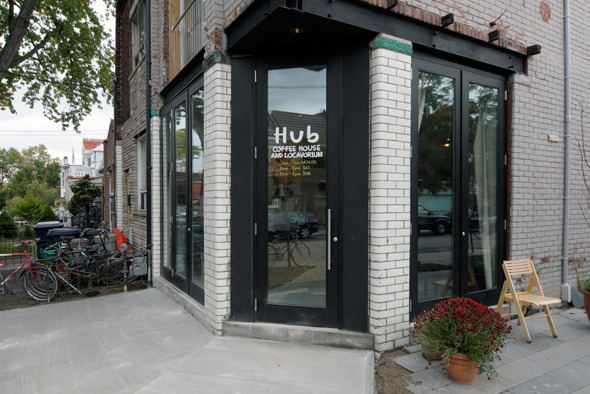 My favourite place to work is a café called The Hub on Shaw and Dupont. It's a lovely space. The coffee is really good, the food is healthy and interesting and the staff are super sweet, and they tolerate my sitting there for six hours. A lot of local writers go there, but I won't blow their cover." The recently-closed Naco Gallery Café is gone but not forgotten for Farzana Doctor, author of Six Metres of Pavement. "One of my favourite places to write was Naco, a neighbourhood café and bar that closed this past year. 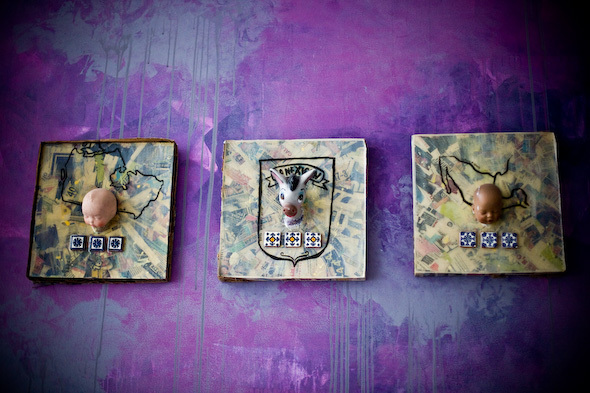 It was run by Julien Calleros, an artist. The décor was funky and there was always an art show hanging. The music was way cool, and nothing I ever recognized or could sing along to, which helps when I'm writing. My third novel - still in progress - has a number of bar scenes. In one of them, my female protagonist dances, sandwiched between two gay men. I've partied at night at Naco, and so I could recall the sensation of sweaty bodies vibrating on the dance floor when I sat there on a writing day."